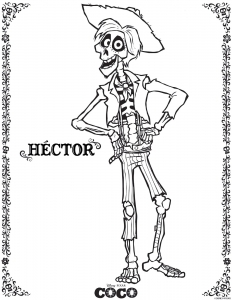 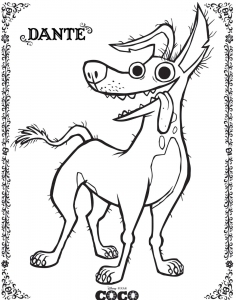 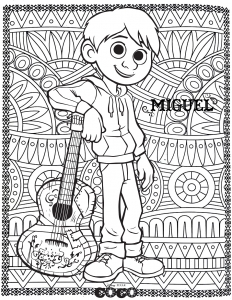 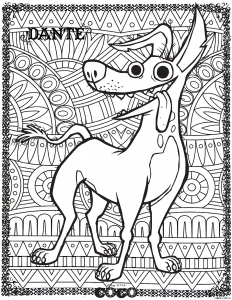 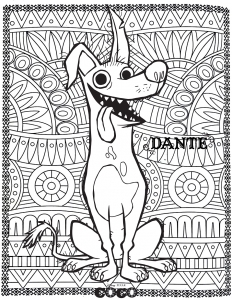 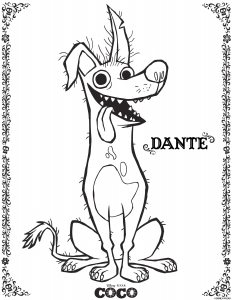 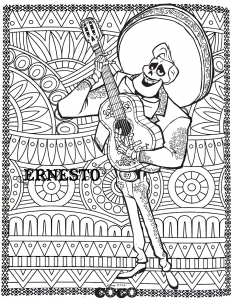 Discover these Coco coloring pages ! 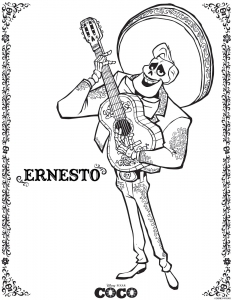 Coco is a 2017 Disney / Pixar CGI fantasy film. 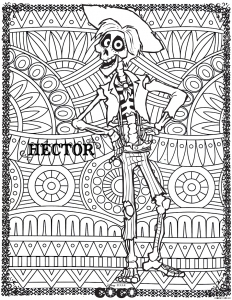 It's based on the Mexican holiday of the Day of the Dead. 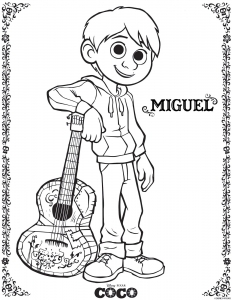 The story of Coco follows a 12-year-old boy named Miguel Rivera who is accidentally transported to the land of the dead ... he then seeks the help of his deceased musician great-great-grandfather to return him to his family among the living.